Sussex Ancestors: The Keep is open! 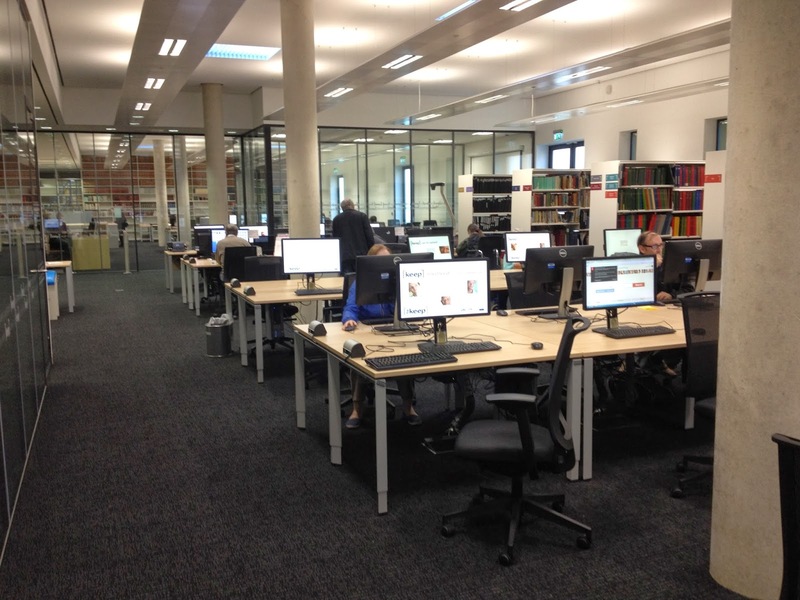 The Keep opened today, the partnership between East Sussex Record Office, the Brighton History Centre and the Mass Observation Project is finally up and running. I was there today with the Sussex Family History Group and everything seemed to run smoothly and without too much chaos (at least on the surface!). The image above is from the reference room - a huge difference from the old record office - and that is just one of the rooms, there is a second one through the glass doors at the far end. Tomorrow I am back there but this time as a researcher. Look for my review tomorrow.